We are committed to protecting your privacy and security. You can use much of our site without giving us any private information. However we do need information when you want to listen our music files, when you wish to subscribe to our Service, or when you wish to purchase a permanent download of any music from our Service. 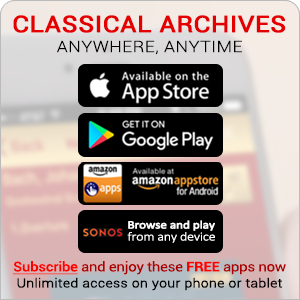 This information is only required if you subscribe to Classical Archives or purchase permanent downloads of music. This information is collected to determine which content will be made available for your use and purchase and to allow processing of any payments you make to us. Billing address information is retained by us to fulfill our requirements to our music providers to control geographic availability of music in accordance with the licenses they grant us to make music available to you. We do not retain credit card numbers or security codes, instead, that information is provided to our credit card processor Payflow Pro, a PayPal company, through secure servers (which means that all communication to and from these servers are encrypted.) Payflow Pro, in turn, does not retain your credit card information beyond the time needed for transactions processing. This information is collected during the last step of the subscription process. It is needed to manage your subscription. It is NOT shared with any third party unless you expressly ask us to share it. We do not use your email address for spamming and we communicate with you by email only when asked by you or required by the discharge of our obligations to you. In some special circumstances, and only if you have given us permission to do so, our affiliates may communicate with you by email. When you accept cookies from web sites, your browser places small text files ("cookies") on your computer so that you will not need to manually log in each time you come to our site. Our cookies also keep track of your status as a user or subscriber and of any limits that may apply to you. These cookies do not contain any personal information and cannot be used to track your usage by any other site. If you elect not to accept cookies we cannot determine if you are logged-in. In addition, if you are behind a proxy server, our server cannot determine exactly how many files you listened to that day and may indicate that you have reached the daily limit (where applicable) sooner than if you are allowing cookies. This is due to the fact that, without a cookie, the server can only rely on an IP address which is also shared by many other users behind the same proxy. Voluntary information such as Gender, Age, Education, Income, et cetera. 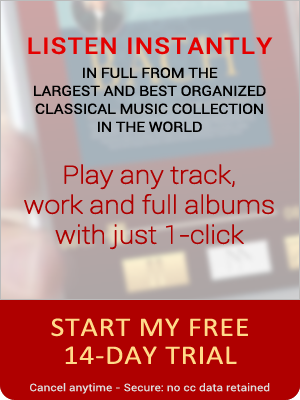 This information is collected either when you subscribe or purchase permanent downloads of music (both require City and State). The other information is collected if you choose to provide it at sometime following the start of your subscription when accessing your individual "Your Account" page and is added to our demographics database to help us in our mission to provide our users with a better experience on our site. It is not shared with any third party as individual records (attached to your name or other personal information.) It may however be aggregated to provide a sense of the general demographics of our users to our partners and affiliates. When such data is aggregated you always remain totally anonymous. Note that most of this information is voluntary. You can access all your personally identifiable information that we collect online and maintain by logging in to the site and accessing that information by going to "Your Account" page. To protect your privacy and security, we will also take reasonable steps to verify your identity before granting access or making corrections that you may ask us to make for you. Although we may communicate to our members and subscribers with regards to their membership status or about special offers for subscription to our site, it is not the policy or the practice of our company, its affiliates, or personnel to send unsolicited email and in particular email containing advertising or other objectionable material. If you have received email which contains solicitations or objectionable content and which used one of our domain names in its return address — it is most certainly a forgery or they have placed a link to our website without our permission. Although there is little we and other legitimate companies can do to stop the appropriation of our name by fraudulent email web sites, we sincerely regret the distress this may cause you. When we learn of such activity we do make an effort to trace the source of fraudulent email and register a complaint with the source of the email and the Internet Service Provider (ISP) that hosts the connection. Email to you may legitimately originate from our website. In order to communicate to our members and subscribers we occasionally send emails to inform them of their subscription status or special offers to subscribe. The member and subscriber lists are held in strict confidence and are not shared with any other web site, company, or organization. Should you have other questions or concerns about these privacy policies, send us an email through our feedback form.